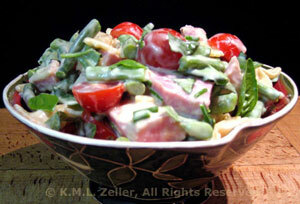 Easy Dinner: Ham, Green Bean, Cherry Tomato Pasta Salad, Weekly Menu Plan. I love summer salads. Almost anything can go into them, they're usually a bit on the light side and easy to prepare. 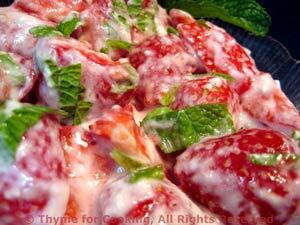 As long as we have a bit of yogurt left... Why not a bowl of strawberries for dessert?